I love FREEBIES and this one I created in 2014 to share with fellow teachers that like to decorate Bulletin Boards for the holidays. I have many other Bulletin Board designs just CLICK HERE. One of my favorite things to do is create and design a beautiful bulletin board. Enjoy! 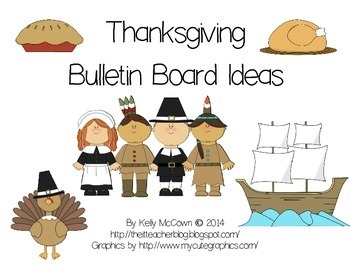 This packet contains Bulletin Board Ideas for you to display in your classroom or hallway at school that promote friendship, thanksgiving, and gratitude. This packet is for the holiday Thanksgiving.